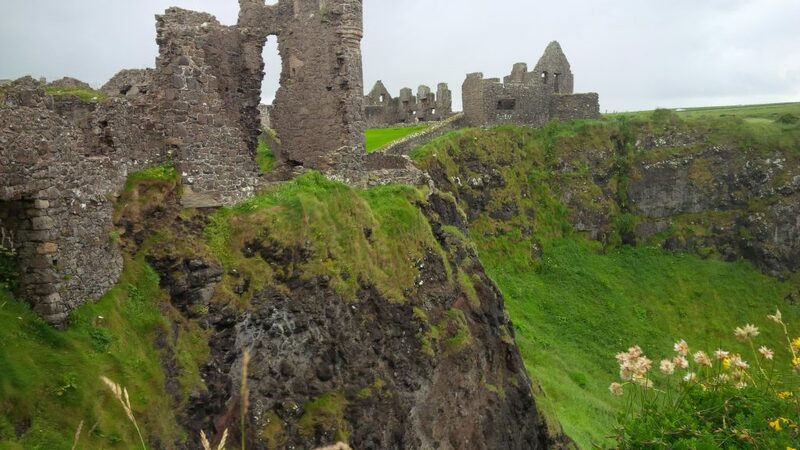 This week, please join Louis D’Alton on a visit to Dunluce Castle. A trip to Ireland would not be complete without a foray to the North. 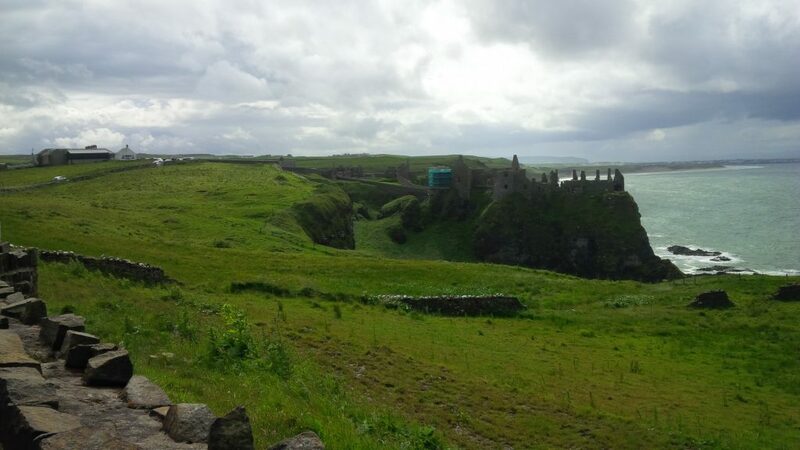 One of my favourite spots to visit is Dunluce castle on the very northern tip of the Irish coast. I first discovered this by accident travelling to the home of the greatest whiskey in the world, Bushills’s (more on that another time). The castle ruins appeared beside the roadway perched on a cliff, almost falling into the sea (in fact part of it did many years ago). 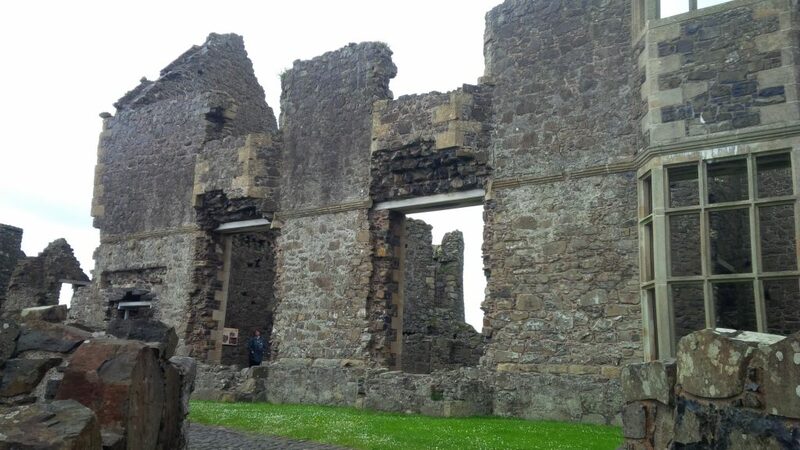 Originally built in the 13th century by the second Earl of Ulster, the castle passed through several owners but ultimately became the seat of the Mac Donnell’s in the 16th century. It is the stereotypical medieval castle, built on a rock overlooking the sea, and entered by a bridge some 25 metres above the surface below. The castle’s role as seat of the McDonnell’s ended with the Battle of the Boyne in 1690 and it fell into decay form that point forward. A friend of mine who grew up close to the site has told me it was a favourite place for young lovers when he was growing up there in the 50’s. Quiet, romantic and off the beaten track. Even now you enter the area by a one lane roadway running off the coast highway, and it is still very quiet after visiting hours. Being high up on an exposed coast it can be a bit windy for romance, but others might find that bracing. The views are spectacular across the sea, and though I have never seen it, apparently Islay (southern tip of the Hebrides islands) is visible on a clear day. The ruins themselves are quite attractive, with native flowers now growing amongst and within the stone of the walls where roofs once sheltered the occupants beneath. 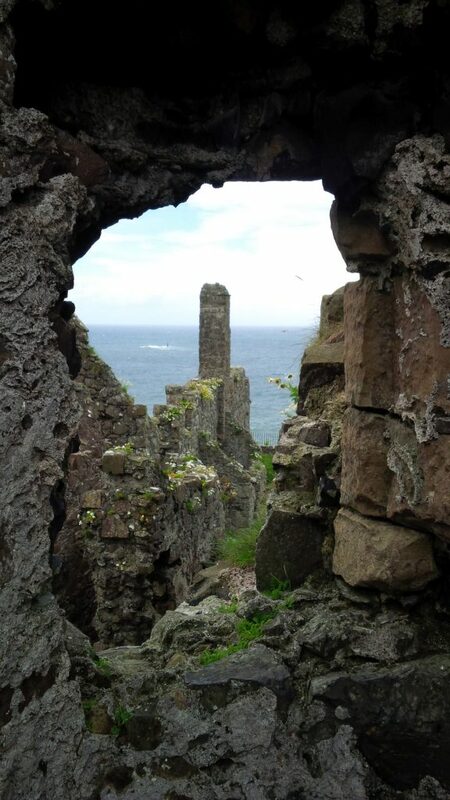 In modern history the castle provided the location for the inner sleeve artwork of the Led Zeppelin “Houses of the Holy” album, the cover of which was also shot nearby at the Giants Causeway. 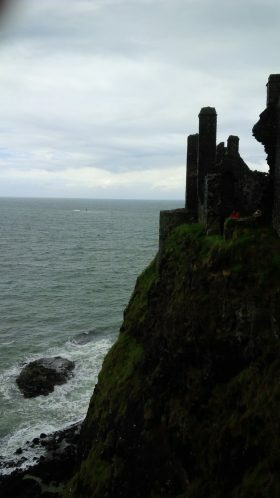 However, it has been perhaps most widely seen as the site double for the reaver stronghold of Pyke in Game of Thrones. 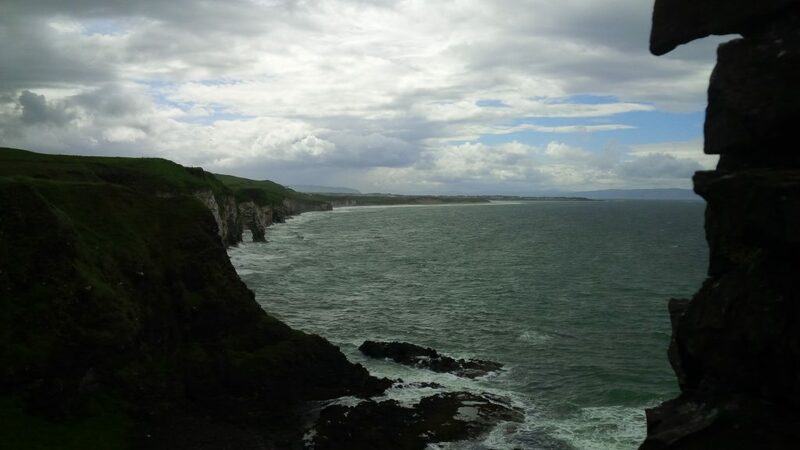 If you are contemplating a drive along the coast of Northern Ireland this is definitely one of the spots you should stop and enjoy.